Howds! I've been posting here and there to ask for info and advice on that moneypit of a berg I bought a few months ago. Figured I'd better set up a single thread to record the epic journey! So first of all, I bought a really cheap "easy to fix" non-runner FS650. 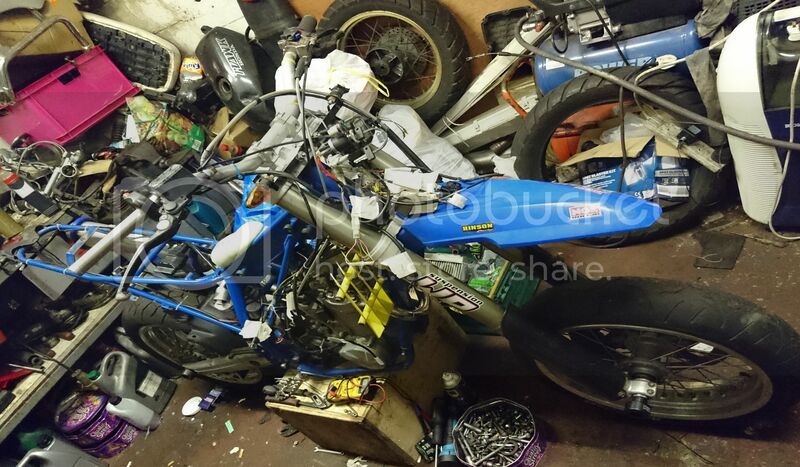 Went to see the bike with my mechanic mate (neither of us any prior Berg experience) and we decided that worst case scenario we'd just sell it for parts and make the money back. Soon after we noticed that the engine didn't really fit the frame... few questions here and it turned out somebody stuck a 1999 engine in that 2004 frame - still not sure what cc the engine is! On top of that, the wire loom was butchered. I managed to fall in love already, so rather than selling for parts as originally planned, I decided to try and source an engine. The rest would be easy, right? 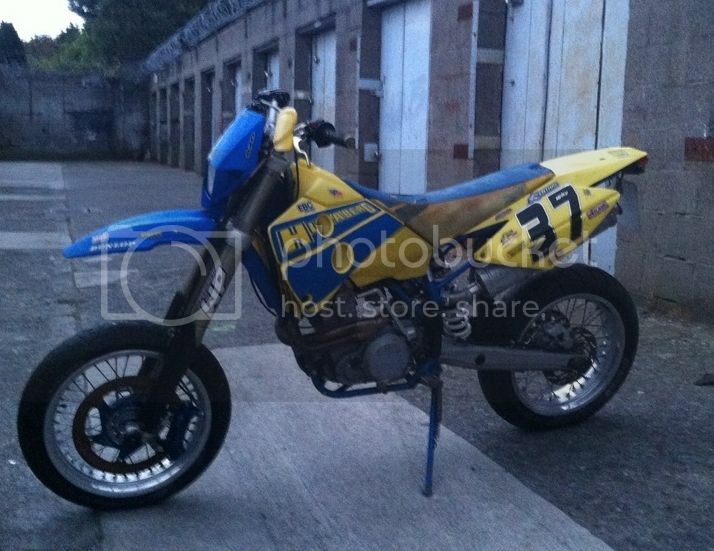 It's a 2006 model, found it on the UK supermoto forum. It has a slipper clutch and looks breather-mod ready. Also got an FCR40 keihin (not 41). Time passed, and finally got info that engine was in the frame, wohoo. - + some more bits are on the way still. Couple more months passed and we are at a stage where we can kinda fire up the engine. The carb is still off the bike though (and seems to be missing the ridiculously expensive hot start button! ), some cables still don't have a home etc, and generally most of the bike is lying around the place. Good news is I have some bits for sale. 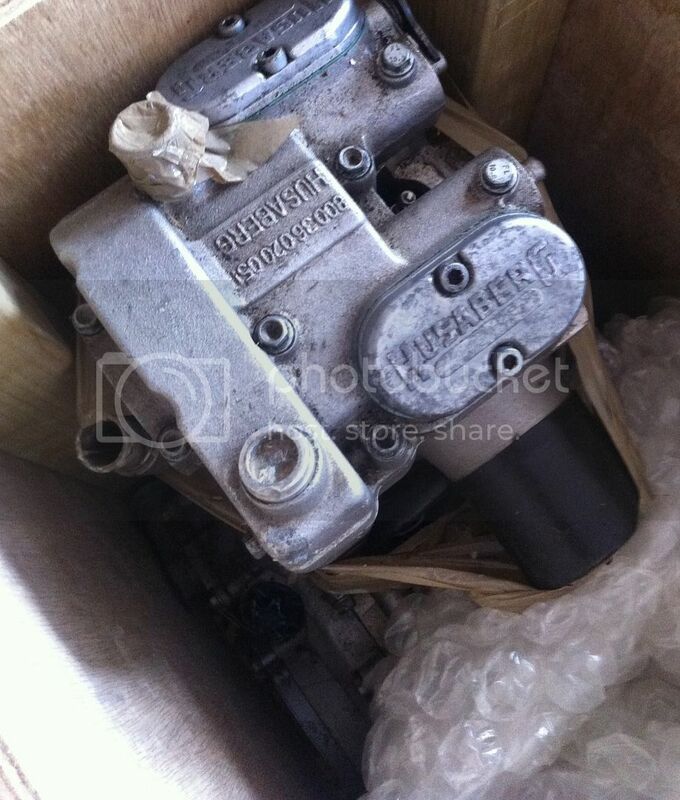 Anybody up for a working SEM ignition module or a rusty dellorto carb? 1. See the cables coming out from the speedo? There is a pink one cut just by the white sleeve - any idea what the purpose of this one is, and why would somebody cut it? 2. There's a bit under the frame that looks like ground wires are supposed to be attached to it. Which ones do you have attached there? 3. what's the easiest option to set up the breather vent, if the one over cam chain has already been blocked off? I am also missing the Y piece breather that goes up to the frame. Well, that's it, until the next episode! you can remove the rear blank from the rocker cover I hope and buy the same tube as is already at the front. THEN get the forked oil trap and sponge and that will go straight to the frame. the racers got rid of one breather. the 'earth carousel' is only for bikes up to 2003 with the SEM ignition. so it starting to look like you have a 2000-2003 chassis. the 10th digit of the frame number will be a zero, a one, a two or a three and that will tell you the year of the chassis. so the electrics will have to come from a 2004+ with that engine and you'll simply need to be able to mount the coil. other than that I think you'll be OK? I have a 2004 chassis here with the steeper headstock. it hasn't been registered but DCR gave me a letter of authenticity. a carb that measures 40mm at the mouth is a 39mm because they go down 1mm through the venturi. Checked the VIN number and it definitely has a 4 in 10th place, so a 2004 frame then. I'd assume somebody went through the trouble of attaching the 'earth carousel' to the frame when swapping the engines? Are we ok to pull it off, or is there still some cables that need to be connected in that spot? I'm a great believer in the forked twin oil breathers. the factory should have stuck with them. they just took the exit from the rocker from the wrong place! the earth carousel can go. you should have had a pair of holes laying horizontally for your coil. however everything is do-able. Ok, we're missing something here, a bit clueless... is the boot the wrong size for that carb? looks like a Dellorto and the boot is for a Keihnin. is that a Dellorto? If yes, then indeed that is the wrong boot. It's actually a keihin, just not an FCR41, but a 40 from what I'm told, have a better pic somewhere... there we go. Am I missing the following: "Intake Funnel FCR/FCR-MX 02", part no 59031040200?? And most likely rejetting needed... the spending never ends. It's actually a keihin, just not an FCR41, but a 40 from what I'm told, . . . .
Husaberg simply means "wooden boat with 2 wheels". A hole you can't stop throwing money into and a job for life! there are two shapes of rubber boot. I guess that is all that is left to try but I have never seen this before. is the engine leaning forwards? 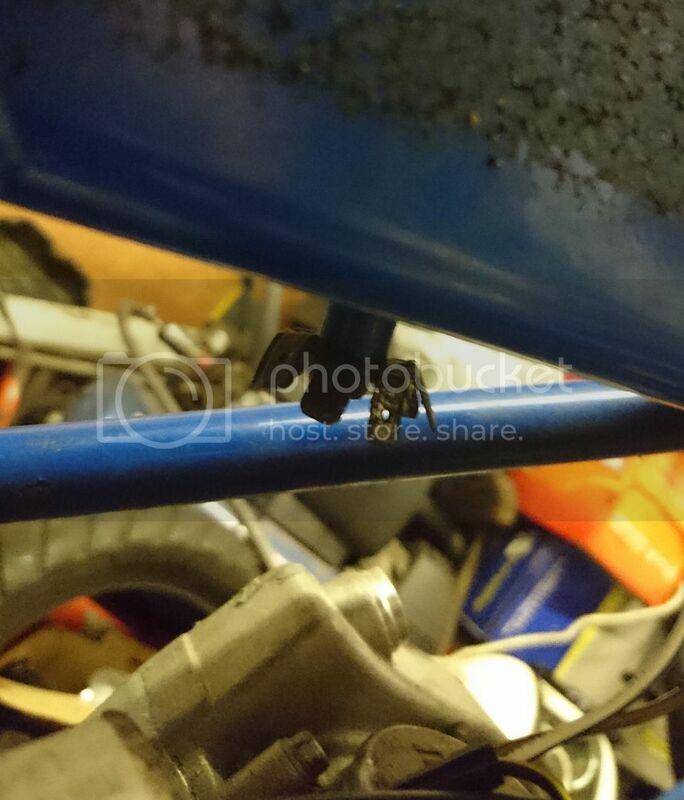 is it sitting on the frame?